Moly Slide and Way Lube is an anti-wear lubricant formulated for accuracy and parts finish of machine tool horizontal, vertical and inclined slide ways, tables and feed mechanisms. Designed to be used on a wide range of materials, it’s especially recommended for use in applications where exposure to water soluble or water mixable cutting fluids exists. Even under thin film boundary lubrication conditions, Moly Slide and Way Lube will reduce stick-slip and chatter, allowing for more accurate positioning, improved finished surface quality and improved dimensional accuracy of work pieces. Moly Slide and Way Lube contains a patented additive package that provides the lubricant with an extra margin of protection by satisfying the stringent demands of the slide ways and other lubricated components of the machine tool. Further blended into the lubricant is our proprietary varnish additive, VarniShield®, which prevents varnish from building up on critical internal components. To prevent wear, our proprietary additive, Micron Moly®, is blended into Moly Slide and Way Oil to protect sliding and rubbing surfaces from friction and wear. 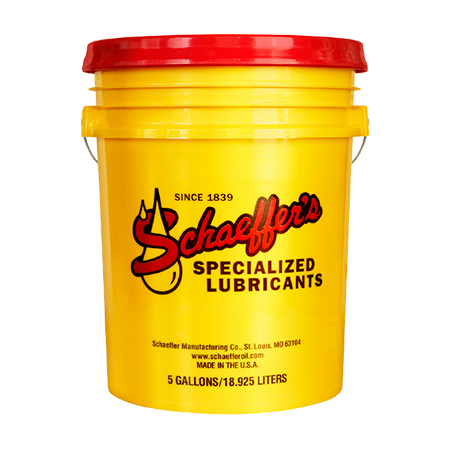 Strong adhesives and metal wetting capabilities that resists squeeze-out, wash-off. Separates rapidly and completely from water and water-extendable or water soluble coolants. Excellent fluid quality reserve to maintain its performance features. Enhanced fluid life and seal life.